arth’s been getting hit by the fast moving high energy cosmic rays bursting off from outer space. These cosmic rays comprise positrons in a small proportion. But there’s something more, in a greater amount, coming our way. In 2008 PAMELA, a probe in Earth’s orbit, detected more high energy positrons approaching nearby expanse of our galaxy, but nobody was completely sure how they’re formed. Astronomers analyzed the data gathered from the High-Altitude Water Cherenkov (HAWC) observatory and suggested that these antimatter particles are coming from powerful celestial objects known as pulsars. A pulsar is a highly magnetized neutron star channeling a beam of electromagnetic radiations. It works like a huge particle accelerator; shattering particles together and creating matter from energy, when the beam collides with contiguous gasses and dust. Theoretically, particles like electrons and positrons happen to form, which are abruptly whipped away with the waves, produced due to collisions. The hypothesis was put to test when HAWC recently spotted a number of possible candidate pulsars, a few hundred light years away, to further analyze the presence of these high-energy positrons. 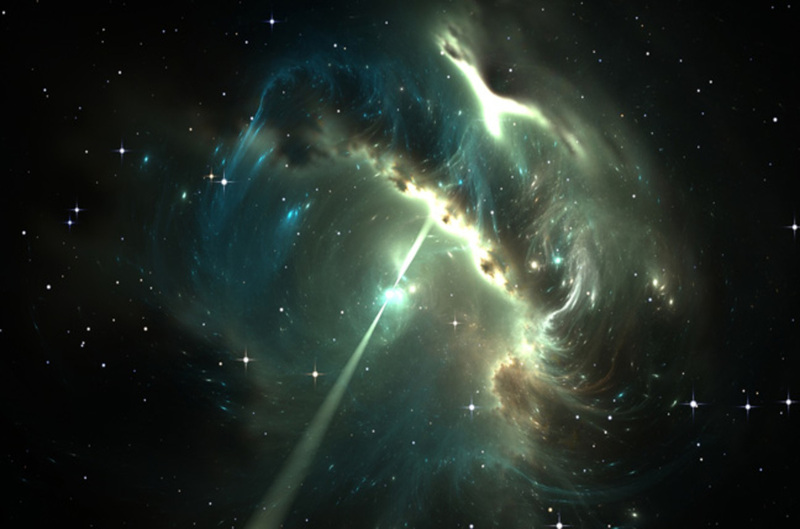 "Detectors at the HAWC observatory record gamma radiation emitted, among others, by a certain population of electrons produced by pulsars and accelerated by them to huge energies," says physicist, Francisco Salesa Greus, from the Polish Academy of Sciences in Krakow. "The basic question was: are there enough of these electrons for interactions with them to then produce the right number of positrons?" The answer was no. After 17 months, spent analyzing the collected data, researchers ascertained pulsars to be responsible for some of the extra-high energy positrons. But the figure is still not enough to explain all of them. A researcher from the famous Institute of Nuclear Physics Polish Academy of Sciences, Sabrina Casanova stated "Since the involvement of close-by pulsars in the generation of high-energy positrons reaching us is so modest, other explanations become more and more likely.”One of these explanations infer the decaying of these dark matter particles. It's exhilarating to shine some light on the mysterious material constituting a quarter of Universe’s mass, and thus ultimately having a better understanding of its other exciting properties. The mystery of both dark matter and these mysteriously incredible fast positrons remains. Also to be noted here that the death of one premise is no proof of another to be true. This research was published in Science.